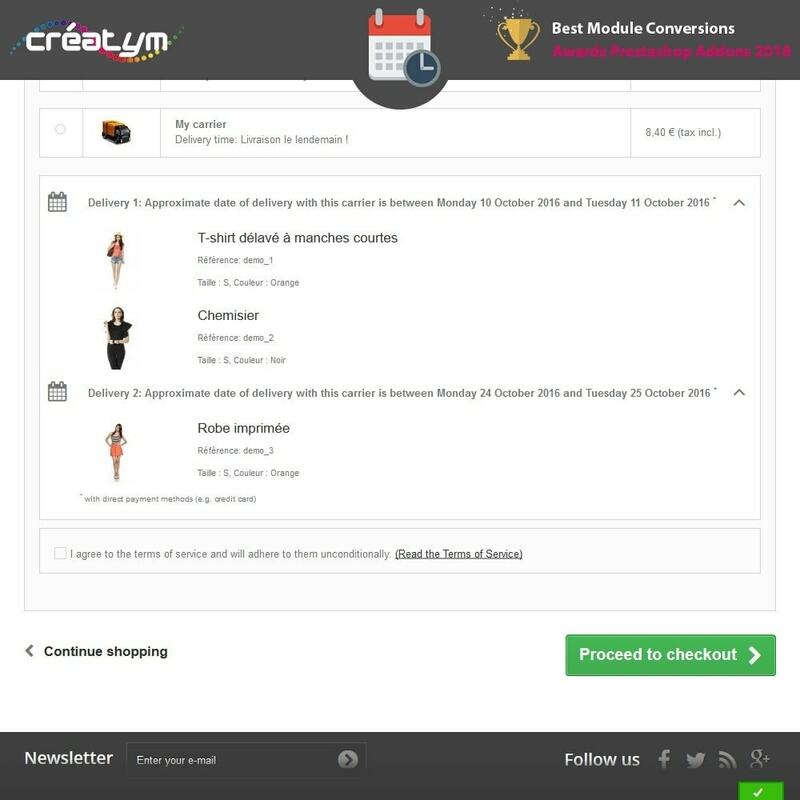 By posting a delivery date in different strategic locations in your shop, you can greatly increase the trigger purchase from your customers. 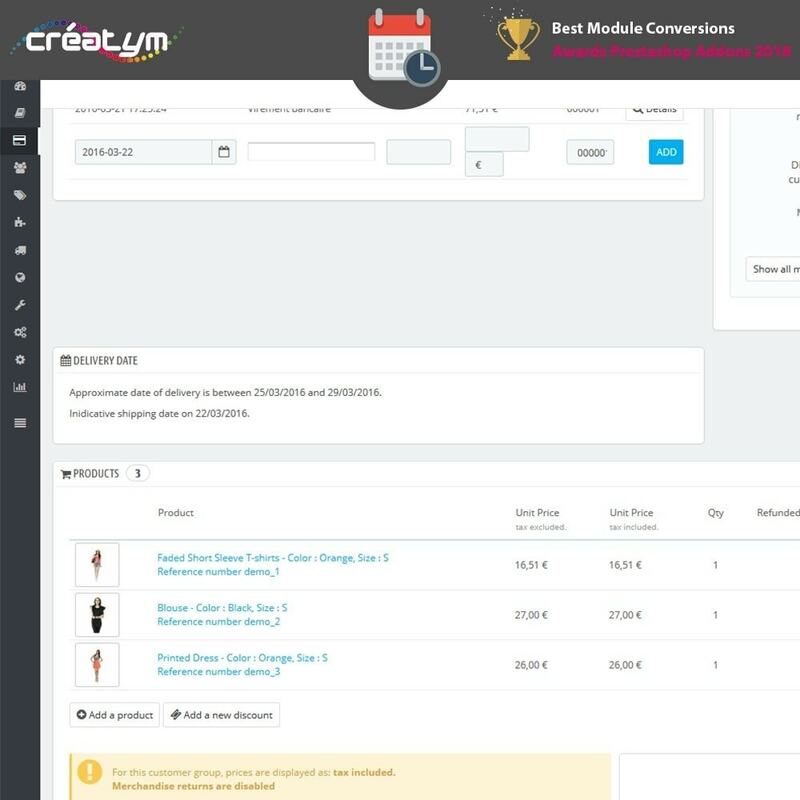 If the delivery date corresponds to the requirements of your buyers, they will not hesitate long to place an order on your shop. In addition, your customers will feel confident in the transparency and information you put them at their disposal. 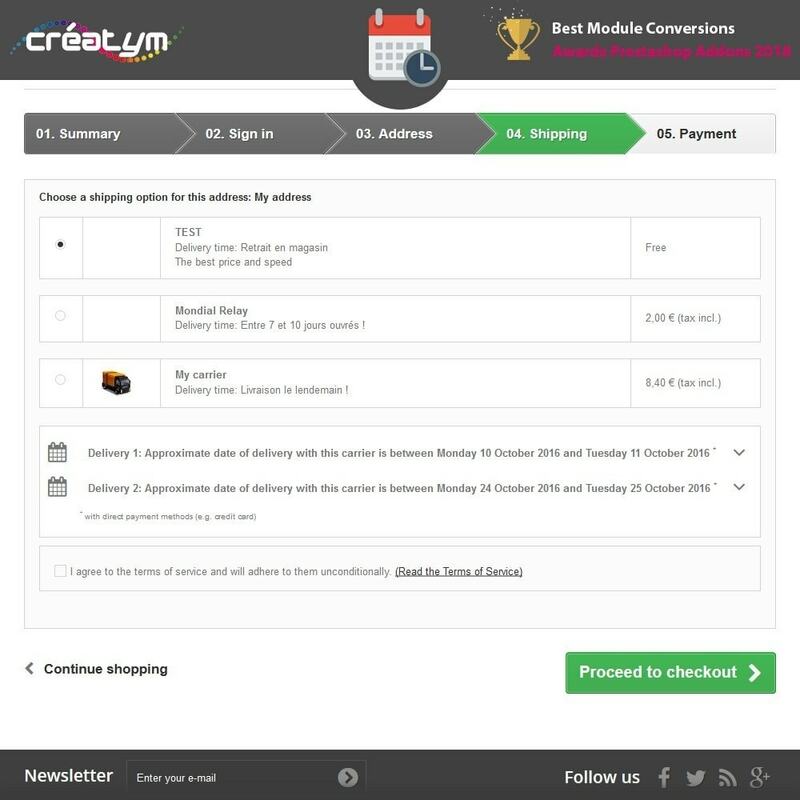 The delivery date is displayed directly on the product to trigger adding to cart. The delivery date is recalled when selecting carriers to realize the sale. 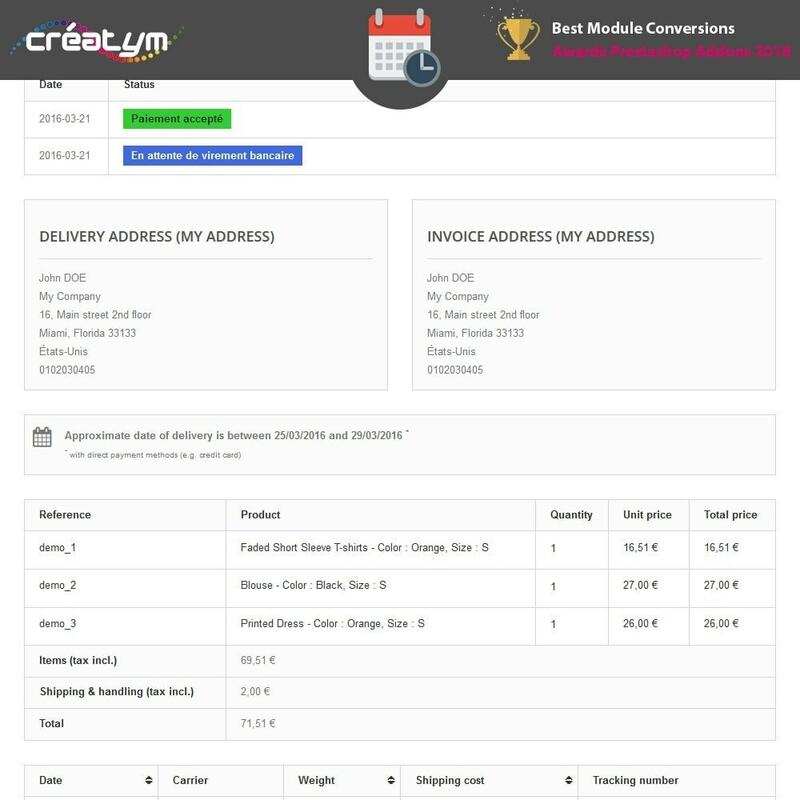 The delivery date is displayed on the invoice and order history to foster customer relations. 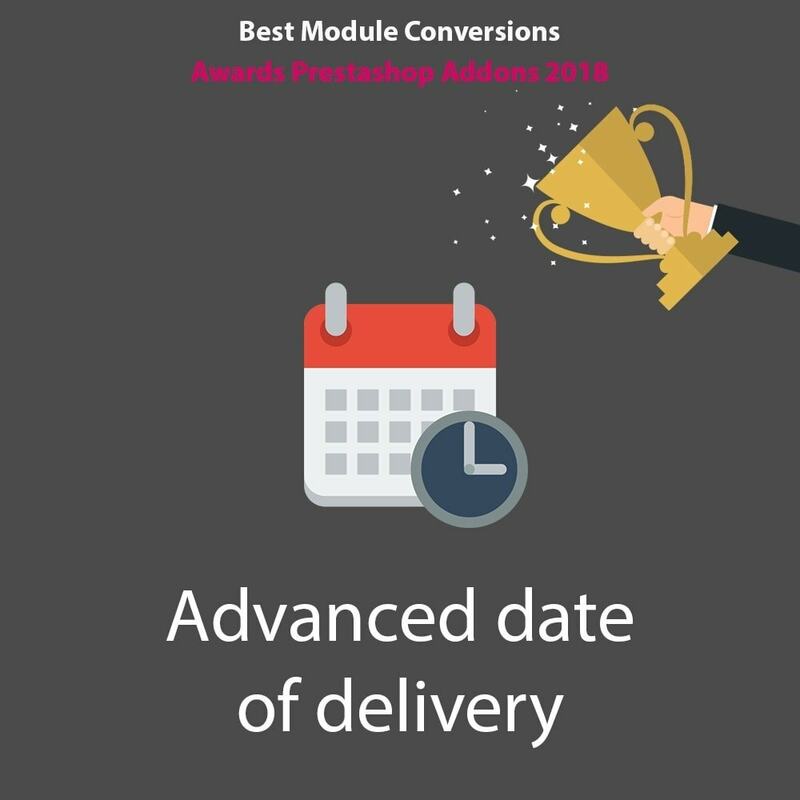 The module has a new option "Allow sending as soon as possible" to display several delivery dates for an order with several items with different delivery dates (depending on stock quantities for example). 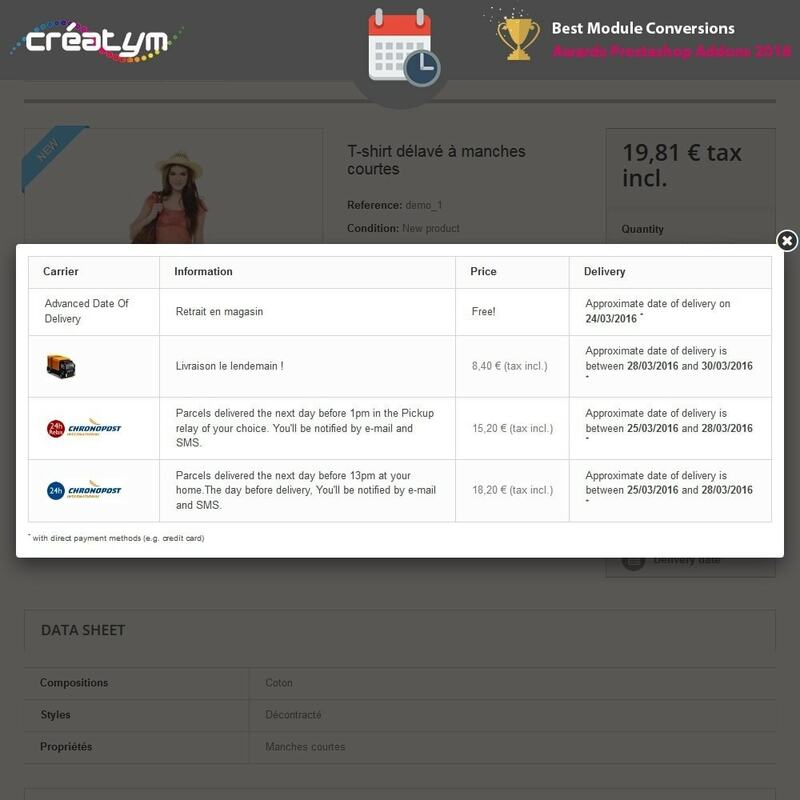 If this option is disabled, the module will display a single delivery date corresponding to the total receipt of order. 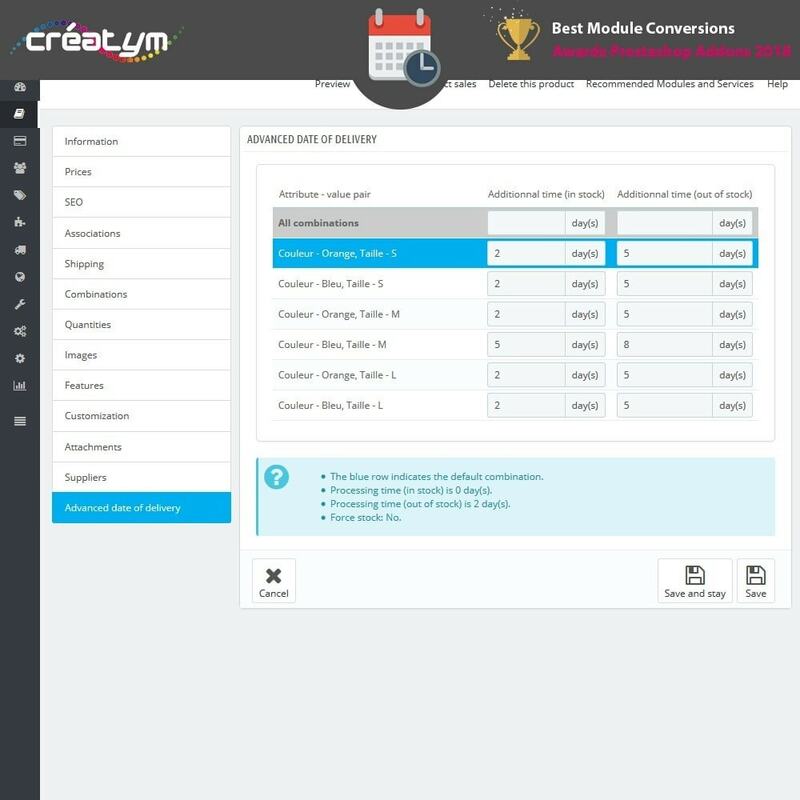 The module also proposes to define additional time directly to each product and combination. 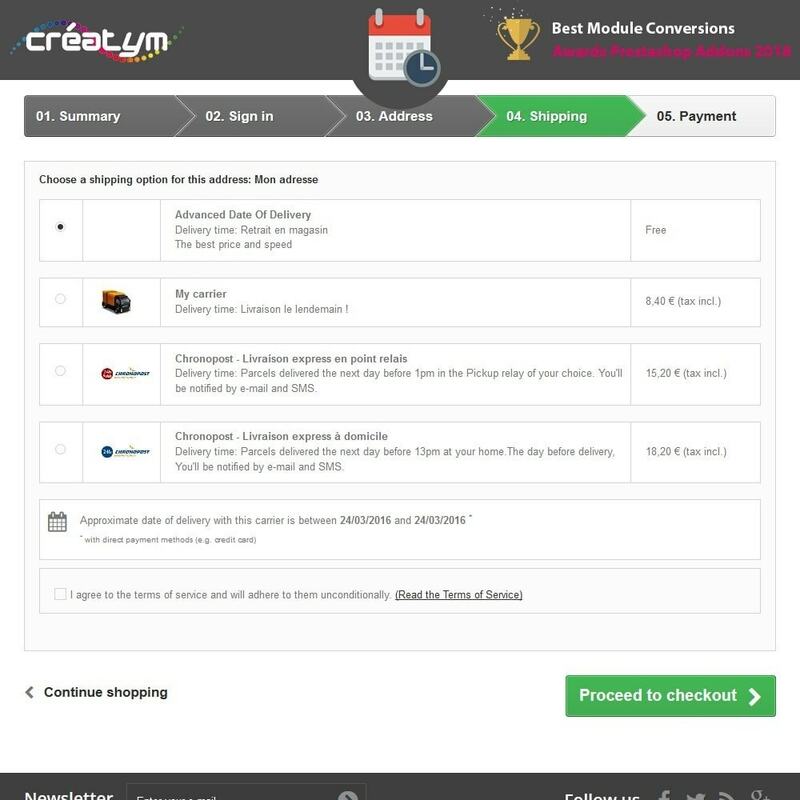 In most cases, in addition to knowing the delivery date before ordering, customers also like to know how much their delivery charges. 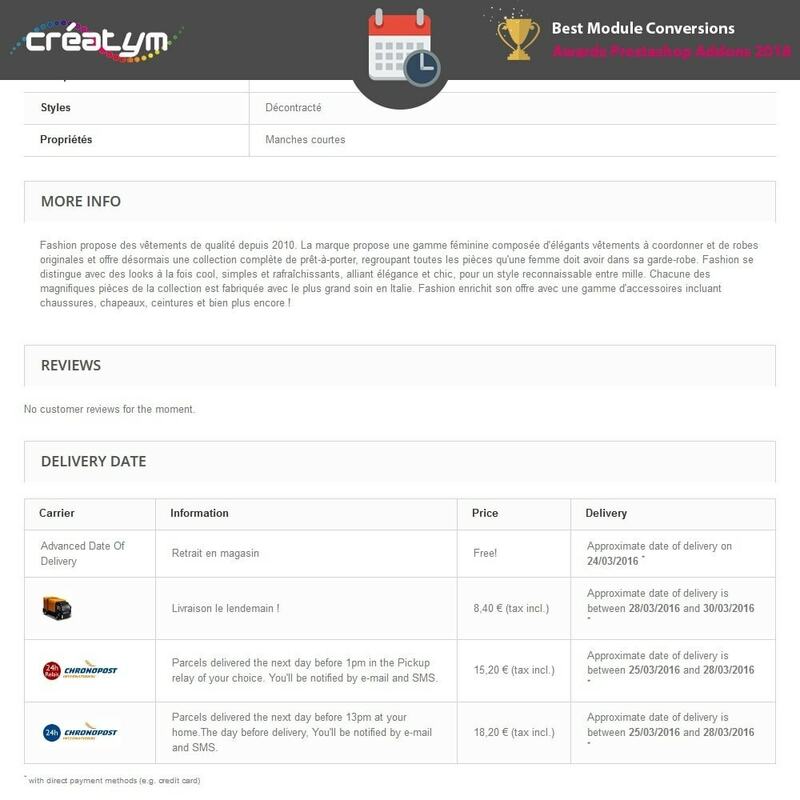 The module proposes to estimate delivery charges (default) and displayed directly on the product page next to the date of delivery (can be disabled in the module parameters). To promote the release of purchase, we must reassure at most your customers. 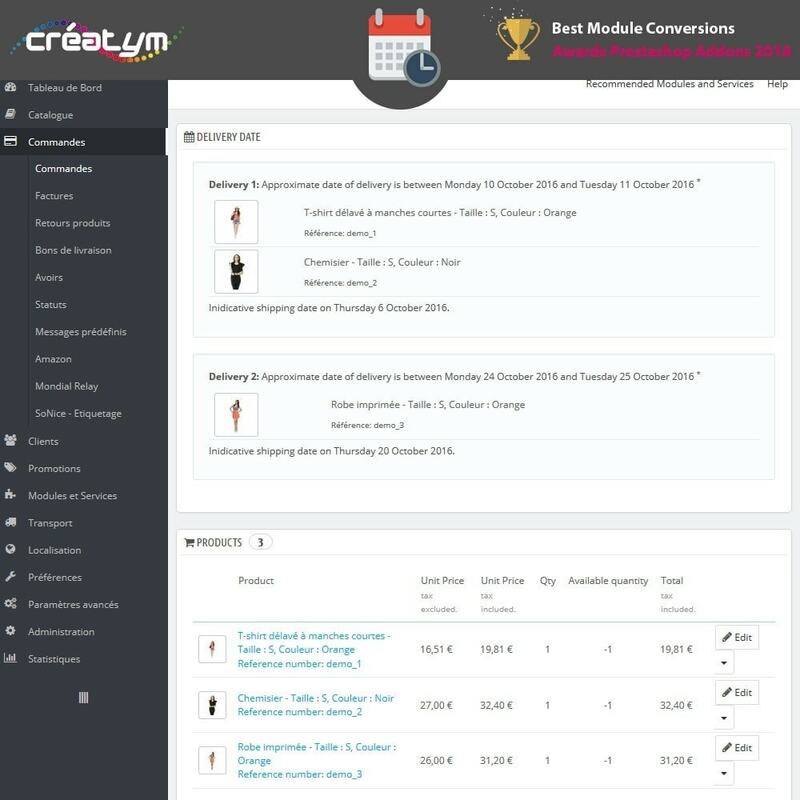 View a delivery date even before arriving in the ordering process is the most reliable solution. Your customers know the precise date of delivery by carrier products to consult.